photo by Evan of @beercycling - "Enjoying the view (and Scottish craft beer) from the peak of Ben Lawer." Its been a hectic week or two with my recent Vermont beer trip (posts & photos coming soon), but I've received some great #beertography! So much so that I'm posting FOUR today in celebration of the impending Fourth of July holiday weekend. 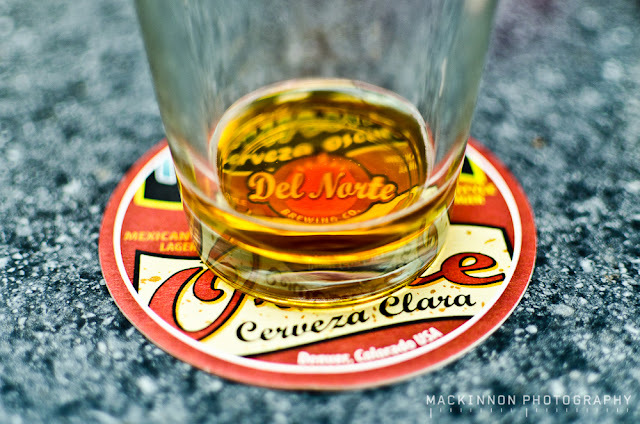 photo by Sean Buchan aka @beertographer - love the twitter handle! which used to be me! 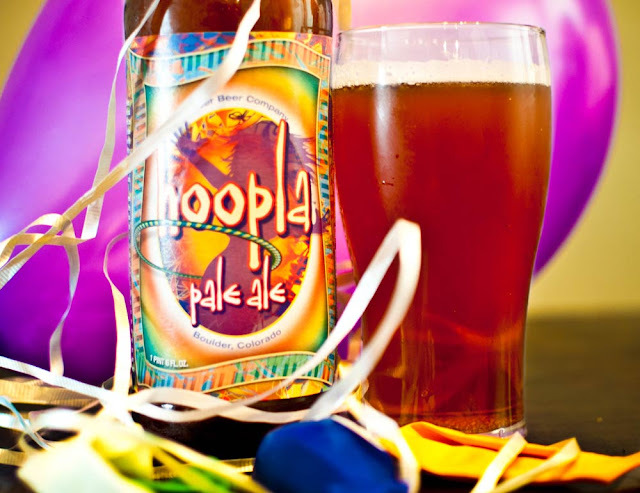 photo by @ExtendedPints - "Is the Hoopla worthy of a party?" - check out their post here. Ok that's it for now folks. I've got a bunch more great submissions but I'll save those for next week. Hope everyone has a fantastic 4th. Bonus points to anyone who submits Fourth of July themed #beertography over the weekend. To The Green Mountain State! Its quite an ambitious schedule for 4 days including hiking Mt. Mansfield on Saturday morning, but we're determined. Out of everything listed I've only had a few Hill Farmstead offerings before (luckily enough some do make their way to NYC occasionally). You may notice that a brewery not on the list but featured in the lead photo is Magic Hat. Even though it is Vermont's most prominent brewery and we will be a few miles away, we've elected to pass it up. They make a few good beers but I think the other smaller breweries blow them away. Who knows, maybe plans will change...but for now, no Magic Hat. We'll also be making a stop at Valley Malt in Hadley, MA, run by husband & wife team Andrea and Christian Stanley who we met at Brooklyn Wort. The couple is bringing back artisanal, local malt and we will be using it in our upcoming homebrews! If you follow me on twitter, I will be tweeting our adventures and untappd'ing everything (provided there's some kind of cell service in the mountains) we drink. If you have any other suggestions of places to stop in at in VT, feel free to send them my way! A big congratulations to Giancarlo Annese & Sarah Tobol from BeerUnion! They swooped in mere minutes before the deadline with a great smattering of Founders Beertography. The entry above was selected as the winner for its ability to make you thirsty AND haunt your dreams at the same time. I also really enjoyed their photo below, mainly because I recognize the color of the neck labels of Founders and therefore know this is a pretty darn impressive group shot. Thanks to Founders for the prize pack donation and Special Thanks to all those who submitted entries. Keep your eyes peeled for the next beertography contest coming later this Summer! And if you have a brewery you'd like to suggest as the focus of the next contest, let me know! Exciting news to start summer! We're having our first Official Beertography Contest! 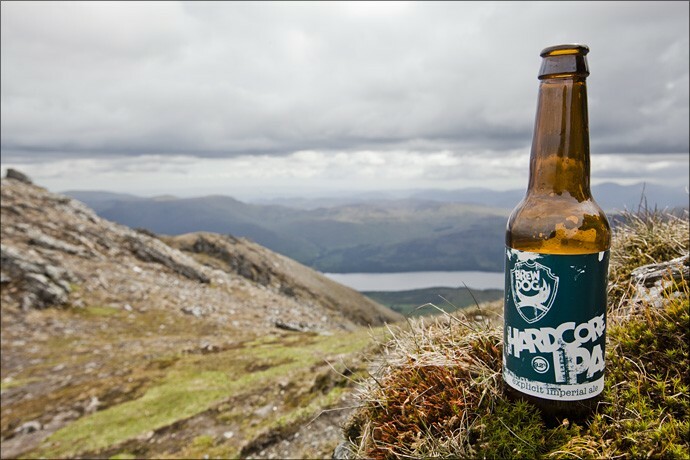 If you've been following our Beertography of the Week series, then you already know exactly what we're looking for. The twist here is that all of the entries must feature Founders Brewing Co. in order to be eligible. 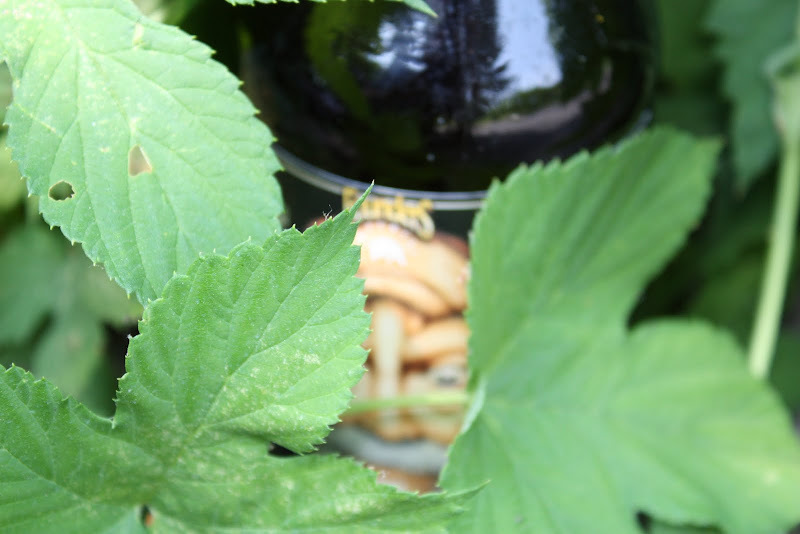 The winning selected entry will receive a Founders Brewing Prize Pack of brewery gear! We will accept entries for this contest from today, Monday June 6th until 11:59pm on Sunday June 19th and the winner will be announced by Wednesday June 22nd. What are you waiting for? 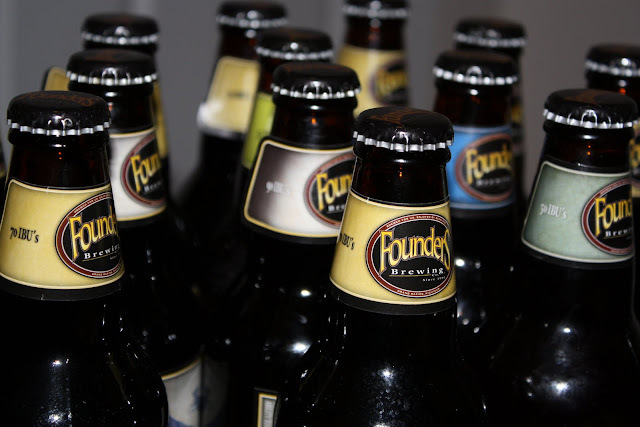 You should have already taken some Founders beertography by now! Check out these great examples straight from Founders' website! All submissions must be emailed to beertography@gmail.com with the subject line Beertography Contest before 11:59pm on Sunday June 19th. All photo submissions must somehow feature Founders in order to be considered. We're looking for a combination of most creative along with best photography here. Winner will be announced on or before Wednesday June 22nd. While I'd love to accept worldwide entries, the prize pack is only available to US residents. Please also be sure to share your photo with Founders directly by uploading your submission to their Flickr page! This week's Beertography of the Week comes to us from the fine folks at BeerCycling and continues our bike, beer & organic theme from last week's FoodCyclist feature. This has to be among the most unique of our user submissions so far and definitely the best to feature real live frogs. 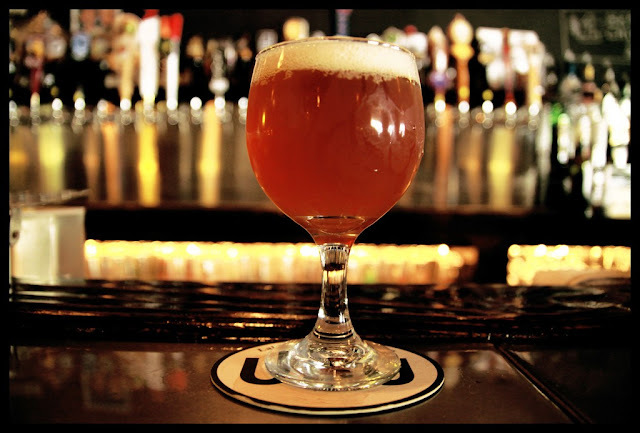 For those of you unfamiliar with HUB, it stands for Hopworks Urban Brewery and features an organic line of craft beers based out of Portland, OR. 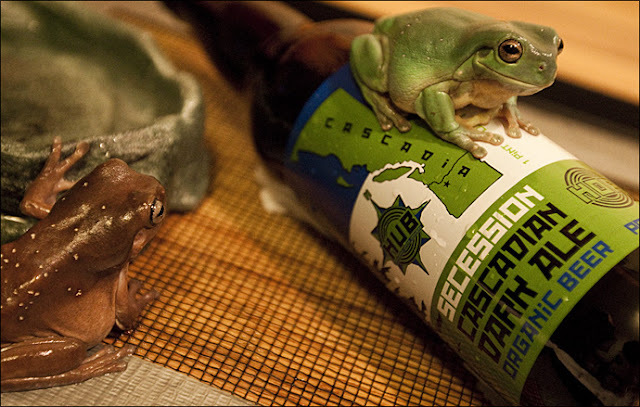 The beer being guarded by Kermit there is their fantastic Secession Cascadian Dark Ale which I highly recommend you seek out if you haven't had it already. Were you inspired by the FoodCyclist's ambitious bike trip around the globe? You should probably check out BeerCycling and all of their beer-themed bicycle trips including one in BELGIUM! It sounds amazing. Check out BeerCycling on the web or follow them on twitter.